An enjoyable vaping experience begins with a great eliquid. Crystal Canyon Vapes produces premium American made ejuices for a quality vaping experience. 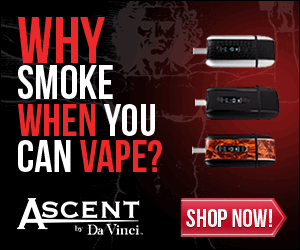 CCVapes is a quality-conscience family owned and operated business in the USA. They are based in Queen Creek, Arizona. The owners of CCVapes are vapors just like you and I. This premium eliquid business is focused on crafting the highest caliber of pure eliquid. They care about what goes into their vaping products and they think you should feel good about what you are vaping too! Each eliquid order is freshly blended, prepared in a sterile environment, and professionally bottled – made to order. These eliquid products are never mass produced. The ingredients of the ejuice flavors contain 99.9 certified pure nicotine, Kosher Vegetable Glycerin and USP grade Propylene Glyco. The freshness of the eliquid you vape matters – a lot. CCVapes only sources American made ingredients from trusted large companies including, Dow and Proctor & Gamble. The products are developed with the highest of control standards. CCVapes only uses GRAS artificial and natural flavorings that are made in America. All CCVapes vaping juice products are free of fragrances, flavor enhancers, chemical additives, and food colorings. The clean taste of their ejuices is preserved by using glass bottles for handling ingredients and flavorings. Glass eliquid bottles and droppers are used for eliquid product sizes 15ml, 30ml, and 60ml. Do note that small 5ml sample bottles and 120ml bottles are bottled in a glass alternative, PET plastic. These also come with caps – all of the droppers and caps on CCVapes products are child proof for safety reasons. The flavors developed at CCVapes are unique. Their products are currently exclusively available online at CCVapes.com, which is an online quality vape shop. They do, however, have future plans to open a walk-in vape shop. If you like to try new flavors, CCVapes gives you the option to create your own exclusive vape juice. CCVapes will hand craft and bottle your personal creation made to order. Remember that taste is subjective. Try a sample pack of 7 eliquid flavors, you can choose which 7 different flavors to test. Once you try out some flavors, you can create your own eliquid infusion on CCVapes website. You can mix up a sensational concoction or experiment with blending familiar favorite flavors and they will hand craft and freshly blend and the eliquid you create. To put it simply, CCVapes only offers the best in premium American made eliquid products. Receive a 30% off online discount at checkout when you use coupon code: CCV30. You should know what’s in your vape. Order premium American made vape juices from Crystal Canyon Vapes now!